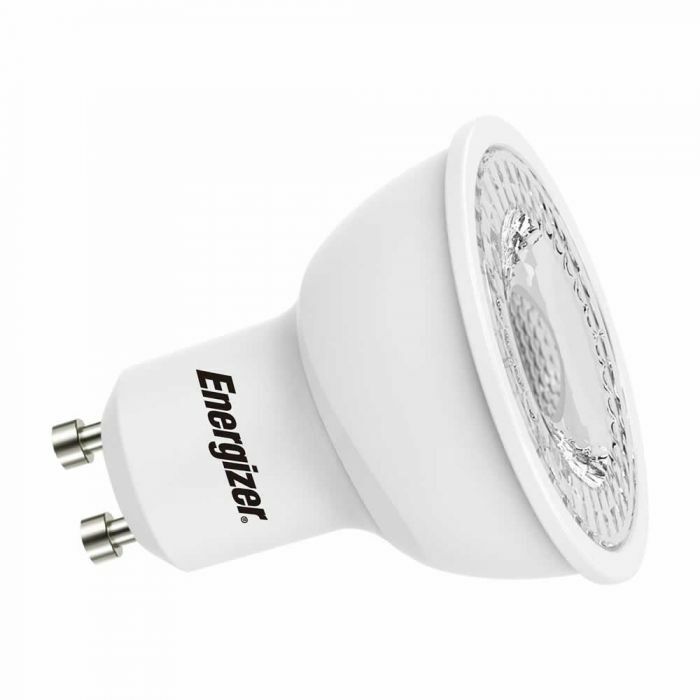 Create an energy efficient lighting scheme with the Energizer 5W LED GU10 spotlights. 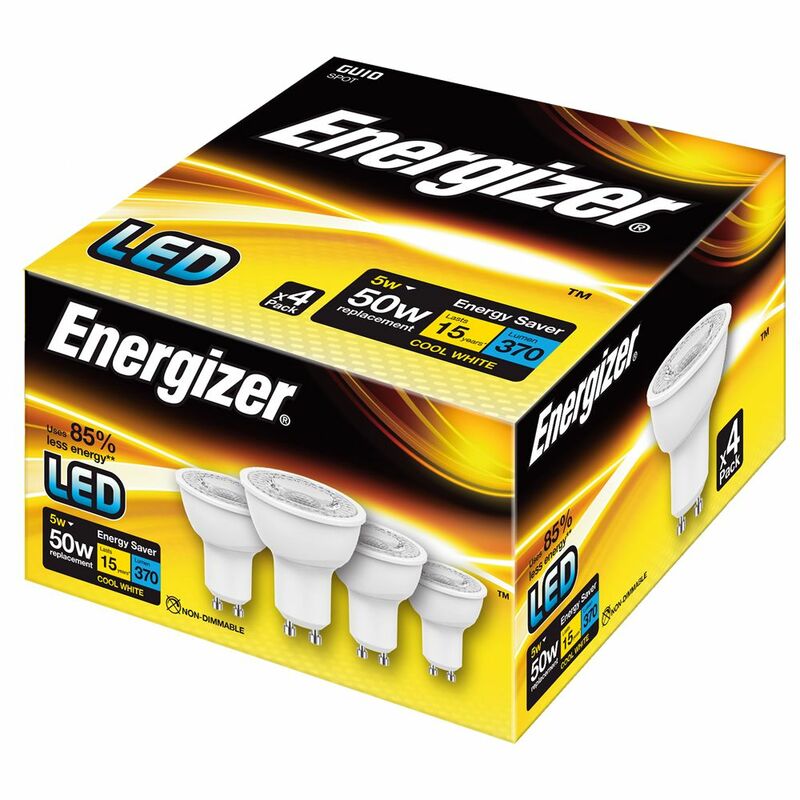 Supplied as a pack of four, these LED spotlights each use 5 Watts of power to help keep electric bills low. They provide bright illumination in an instant and boast a 15,000 hour lifespan. 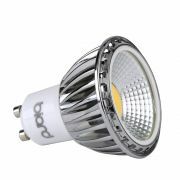 Perfect for bathrooms and kitchens, the spotlights are available in a choice of colour temperatures including warm white, natural white and cool white.